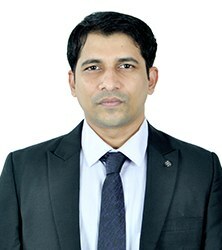 Dr. Sreekanth Shetty performs most of his angioplasties through the Trans-radial route (Through the wrist), even for complex angioplasties such as those involving large side branches (Bifurcation stenting) and for heart attacks (Primary PCI / Heart Attack Angioplasty). This helps achieve excellent results with great patient comfort and minimal risk of complications. 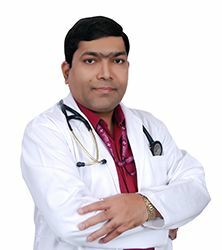 He is also known for his consistent success in opening Chronic Total Occlusions which are considered the final frontier in coronary interventions. 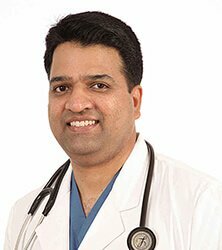 He believes in exploring new frontiers to provide the best available care to his patients for the betterment of their lives. He firmly believes in honest communication which allows patients to make fully informed choices. He is a proud recipient of many awards and citations from Mumbai University. Kempegowda Award for 2014 for contribution in the area of healthcare. 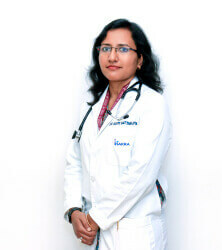 Gold Medallist in Mumbai University for M.D. (Internal Medicine) in the year 2000. Third rank in Mumbai University for D.M. (Cardiology) in 2004. Several Citations and awards from Mumbai University as under: Dr. V. S. Palekar Prize, the year 2000., Dr. C. S. Patel Gold Medal 2000., Dr. Latif Patel Prize, 2000., Dr. R. B. Billimoria Scholarship., Dr. J. K. Mehta Scholarship., Dr. N. F. Surveyor Memorial Scholarship. Won the best presentation for “A case of stent grafting for a coronary Aneurysm with acute MI” at the ACVS 2012 at Hyderabad. A heart attack is a major shock in life and when my Dad (77 years old) had one; we wanted to make sure that he had the best care available.